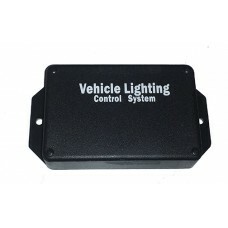 A solid-state lighting control solution for problematic turn signals and older unreliable turn signal relay systems. This is a complete control system for single bulb turn signal systems that use both brake lights and turn signals on the same dual element light bulb. 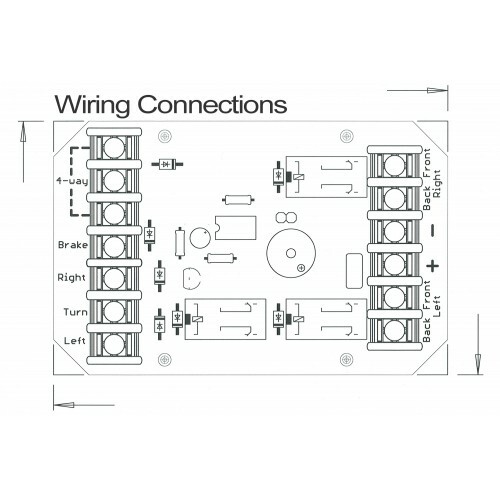 With inputs for brake switch, turn signals and hazard flashers, wiring is simple and easy. Outputs are available for front left, front right, back left and back right signal indicators. Want to run more than one bulb at each location? NO problem, this control module can handle 2 amps per output! To protect the vehicle wiring harness, a 5 amp self resetting fuse protects the entire system! No more worries about blown fuses! Once the short is gone, the system resets and automatically re-enables! 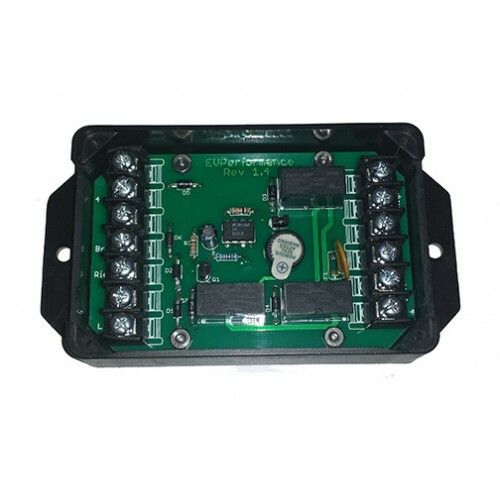 Eliminate those old thermal flashers with this control module! All timing is handled digitally which means you can run LED lamps with no variation in flash rate. Flash rate is always consistent... even if a light bulb is bad, the other light bulbs will flash at the same rate!!! The system also includes a built in "beeper" to let you know when the turn signals are on! No more driving down the road while unaware that your turn signal switch did not auto-cancel! If you don't want that feature simply remove the jumper from the circuit board! This is the perfect upgrade for the all CitiCar and ComutaCar vehicles. The original factory relay system is complicated and prone to failure, especially as the relays are getting old and the wires corroded! Fix the problem by replacing that old relay system with a modern turn signal controller! Wiring instructions available for CitiCar and ComutaCars. Turn Signal Assembly originally used on CitiCar and ComutaCar. Not all CCars used this assembly but ..